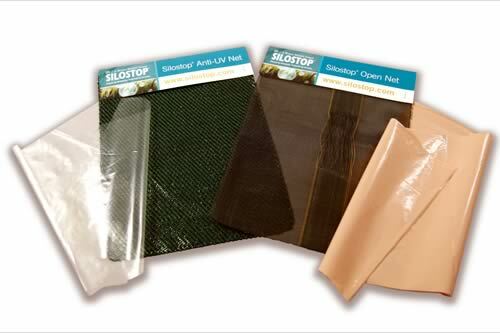 Silostop, worldwide developers of unique oxygen barrier films, is launching an eye-catching orange and black film – SilostopMax – aimed at eliminating surface spoilage on any silage clamp, at this year’s Livestock Event. Worldwide trials with the product confirm that dry matter loss is reduced by up to 50% in the top metre of silage, and that the unique product, at 80 microns thick, is easy to handle and apply. The orange on black film must be laid with the orange colour uppermost and, when visible, is bound to create a talking point on-farm. “The film contains seven different layers, is both strong and stretchy, and with only one layer to apply, reduces labour costs as it’s so easy to apply,” she adds. SilostopMax has special oxygen barrier properties that are proven to be 100 times more effective than conventional silage sheeting, and with cows having a sense of smell that’s 60 times stronger than humans, it’s vital to feed fresh forage to achieve optimum dry matter intakes. While the product is UV stable, it must be protected from physical damage with Silostop open net or Anti-UV woven cover placed over the film – this is predominantly to prevent any bird damage. It’s available in a wide range of sizes, up to 27m wide and 300m long.